Hydrogen click carries an MQ-8 sensor for hydrogen (H2). The gas sensing layer on the sensor unit is made of tin dioxide (SnO2), which has lower conductivity in clean air. 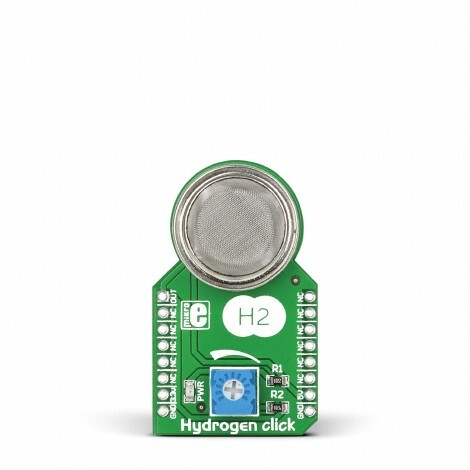 Hydrogen click carries an MQ-8 sensor for hydrogen (H2). The gas sensing layer on the sensor unit is made of tin dioxide (SnO2), which has lower conductivity in clean air. The conductivity increases as the levels of hydrogen rise. The detection range of the sensor is 100-10000ppm of hydrogen. 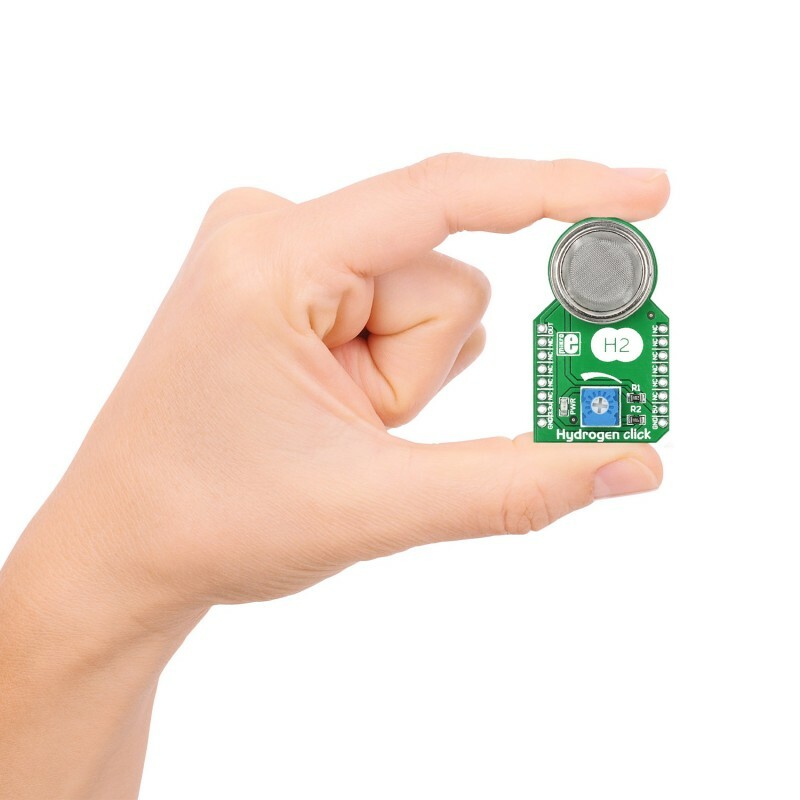 To calibrate the sensor for the environment you’ll be using it in, Hydrogen click has a small potentiometer that allows you to adjust the load resistance of the sensor circuit. For precise calibration the sensor needs to preheat (once powered up, it takes over 24h to reach the right temperature). 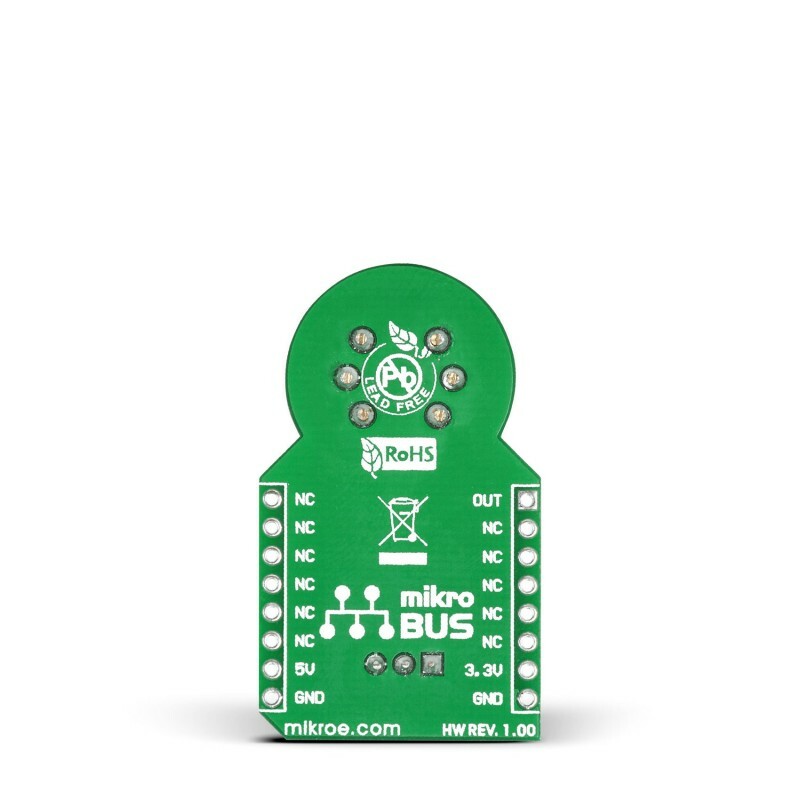 Hydrogen click communicates with the target board through AN (OUT) mikroBUS™ line. 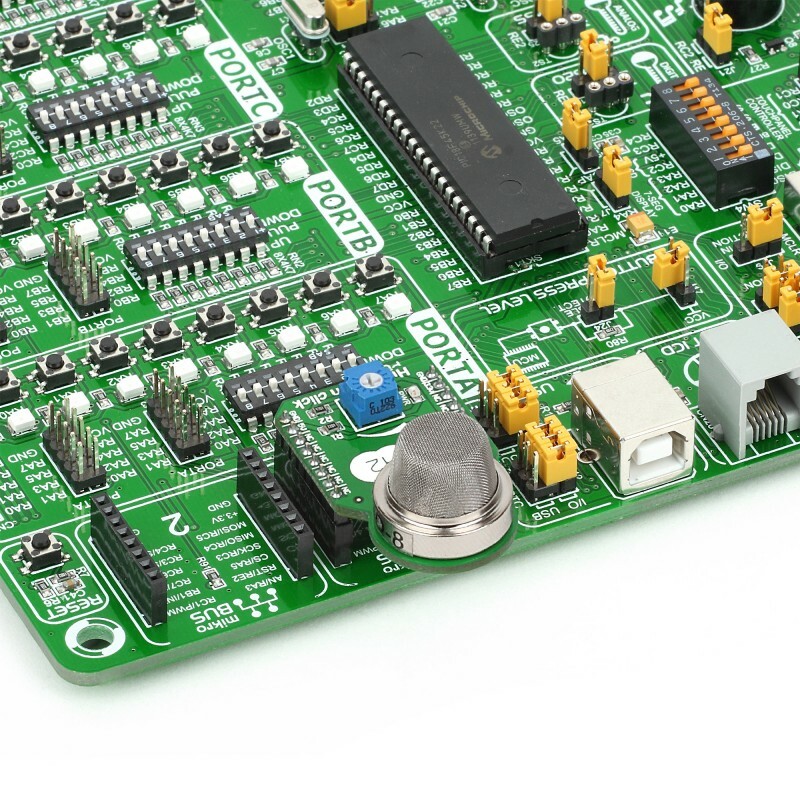 It’s designed to use a 5V power supply only.